Garage organization. Two words that can either strike fear into your heart or make you swell with pride. 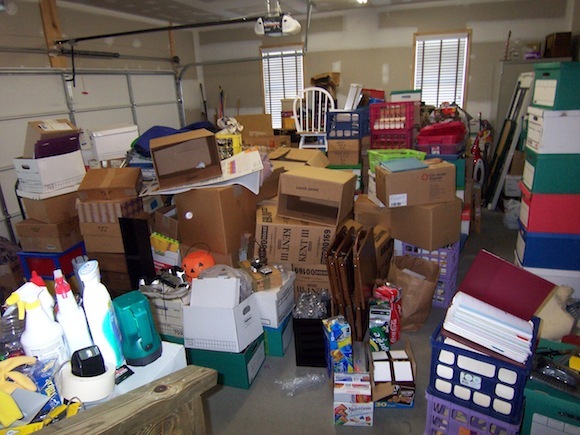 If you have a cluttered garage, then you’re probably dreading the awful experience of having to whip it into shape. Boxes piled high, fitness and sports equipment jumbled into corners. Tools strewn about. It’s just a glob of disorganization. But, it’s high time to do something about it. And, do it right away. Is It Time for a Total Garage Cleanout? In other words, you’ll have a kind of accountability partner. Or, if you will, a sort junk removal mindset. You’re just more likely to see things for what they really are and therefore, get rid of a lot of unnecessary junk. This way, you’ll have a lot more space to put to good use instead of just returning and rearranging a bunch of useless stuff. Pull everything out. Start by emptying the garage completely. Leave nothing inside. Although this presents a big challenge, it will prove invaluable because it will motivate you to purge as much as possible. Organize all your stuff. Now that everything is out of the garage, it’s easier to see what’s on hand. That’s great because it’s now far simpler to identify what’s important and what can go. Think about functionality. Before you start putting things back into the garage, think about functionality first. This means carefully consider what items are most often used and where they will best fit. Sort things according to need. As you’re getting stuff organized, you can tweak about sorting according to actual need. For instance, if something is only used periodically but another item is used more often, you can rearrange it for best function and flow. When you’re done, just phone 800-433-1094 or visit Junk Garbage Removal. This way, you can offload all the junk you no longer need.